“Thank you” is a simple word that goes a long way in showing appreciation. When someone does a good deed for you, it’s important to show gratitude. 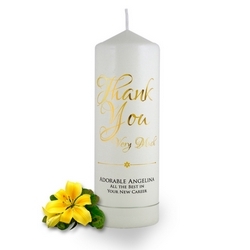 What better way to express how much you are grateful than with a heart-melting Brinley Williams candle expressing your gratitude. Designed with elegance, our candles of thanks are clean, have a versatile design and complement a wide range of decors. They are the most wonderful appreciation keepsakes that speak to the heart. They are the perfect little appreciation and thanks gift all in one. Brinley Williams candles are conveniently crafted to make sure you always have something memorable in hand so you never run out of reasons to smile, plus, they make it easy to enjoy your favorite, authentic candle preference. Highly recommended, they express more than these two words can say. They represent the kind of true love and appreciation anyone would be fond of. Choosing between the Rose Heart Celtic and one that simply says Thank you very much which may not be that easy because both of them carry gratitude that lingers. 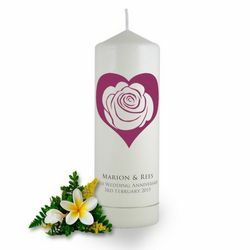 These amazing candles offer the possibilities of love, friendship and relationships…. Use them for the keepsake or accent that you have always wanted.